It is against this backdrop that President Jonathan, his aides, PDP governors, ministers, ambassadors, party stalwarts and notable Nigerians have elected to be in Awka coming weekend for the commencement of the party's campaign. He claimed to have attended the meeting alongside Nwoye, Ukachukwu, Arthur Eze, Senator Andy Uba and National Publicity Secretary of the party, Chief Olisa Metuh, in Abuja where Ukachukwu was given the mandate to fly the party's flag. 'Our job is code named 'Operation deliver your booth and not your ward'. I have been waiting to see the person who will deliver PDP to victory and that moment is here. During the meeting with Tukur and others including all those who vied for the governorship ticket of our great party in the state, we were told that we had a candidate in state whose name appeared on the list of the INEC. 'That is why I am here to introduce him to all of you who have been patient all the while. His name is Prince Nicholas Ukachukwu (Ikukuoma-Wind of glory) and his deputy is a prince in Onitsha and a lawyer, Prince Dr. Harold Ekwerekwu,' the chairman said. He also inaugurated all PDP members as potential campaign coordinators, canvassers and grassroots mobilisers, saying he has all it takes to govern an 'A' state like Anambra, and to take her to the next level. 'You can see that no one losses. 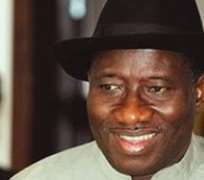 President Jonathan has done well for the county. He has made a lot of sacrifices for the unity of this country. His agenda is our agenda. He loves Anambra State. Everybody should work hard to ensure that our party triumphs at the polls,' he said.